Researchers at the Washington University School of Medicine in St. Louis, who recently reviewed 52 studies of exercise and colon cancer, found that the most active people were 21 percent less likely to be diagnosed with this cancer than their least active counterparts. Brisk walking or other moderate activities may lower the risk of colon cancer, but studies show moderate-to-vigorous exercise is needed to reduce the risk of breast cancer. The good news is that it may never be too late to reap the benefits. In the NIH-AARP Diet and Health Study, researchers tracked 119,000 women in their 60s for seven years. Those who reported day vigorous activity even if they hadn’t exercised earlier in life–were 20 percent less likely to be diagnosed with breast cancer than those who rarely exercised. On average, older adults perform more slowly and less accurately on cognitive tests than do younger people. But older adults who are more fit perform better and are sometimes no different from young adults, according to Charles Hillman, director of the Neurocognitive Kinesiology Laboratory at the University of Illinois at Urbana-Champaign. A study by University of Illinois researchers put 30 healthy, but sedentary, men and women aged 60 to 79 on an aerobic exercise training program. After six months, their brain volume had increased–meaning more grey and white matter and more connections formed between brain cells. Aerobic cardio exercise increases the supply of a protein called BDNF brain-derived neurotrophic factor, which protects brain neurons and promotes the growth of new nerve cells and synapses that are related to learning and memory. 3. Exercise Boosts Insulin Sensitivity. As we age our bodies don’t respond as well to insulin, a hormone that allows blood sugar to enter cells. 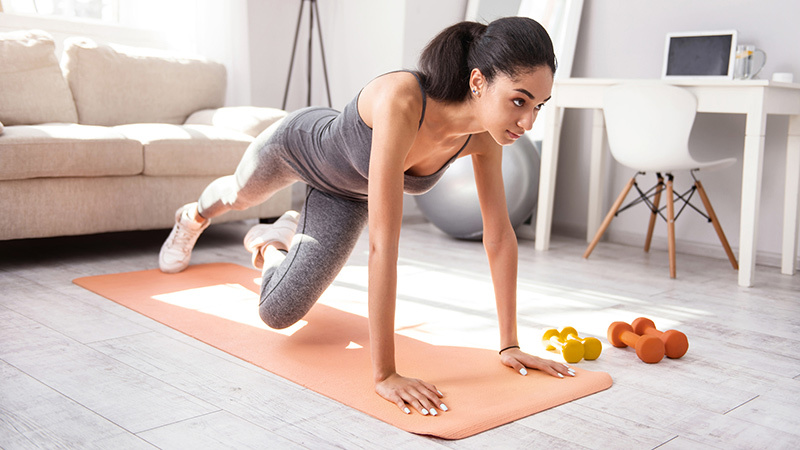 Both aerobic and strength-training exercises improve insulin sensitivity by increasing the number of glucose transporters which allow cells to better respond to insulin. Insulin resistance increases the risk of heart disease and, if blood sugar levels continue to rise, type-2 diabetes. According to Peter Katzmarzyk, an epidemiologist at the Pennington Biomedical Research Center in Baton Rouge, Louisiana, people who spend most of the day sitting down have much higher mortality rates than those who don’t, even if they are physically active during another part of the day. The inactivity of muscles while sitting may change the way they metabolize compounds and may affect the regulation of insulin and glucose. Instead of sitting for long periods of time, try standing up periodically, walking around, or engaging in similar activities to encourage blood flow and increase muscle activity in your legs. Dozens of studies show the capacity to build muscle does not disappear with age. Muscle and strength gains occur no matter how old you are. Ben Hurley, an exercise physiologist at the University of Maryland, says the oldest person he’s seen build strength and muscle mass was 103 years old. Hurley suggests muscle building workouts at least three times per week to anyone over 40 years of age. Visceral fat, which accumulates around the organs deep inside the belly, is linked to insulin resistance, heart disease, and diabetes. Cris Slentz, an exercise physiologist at the Duke University Medical Center, and his colleagues reported that sedentary overweight men and women who followed an exercise program equivalent to 30-minute six times a week for eight months specifically stopped gaining visceral fat. Alarmingly, people in the control group saw their visceral fat increase by nine percent after six months. 7. Become stronger & live longer! The biggest myth about resistance weight training is this activity’s major benefit, that is, strength. The benefits of striving to build strength go far beyond function or cosmetic. The not so obvious benefits include improved blood lipid cholesterol profiles, cardiac efficiency and normalized blood pressure. However, another intriguing, lesser known benefit of strength training relates to mortality. A large epidemiological study indicates that individuals who have higher strength levels possess a lower morbidity rate, despite causes. That is, people with high strength levels seem to live longer than people with lower strength levels. Strength training appears to offer a universal protection against many completely unrelated conditions that shorten lifespan. Focus on becoming stronger – you’ll live longer!